In the 1880s, there was increased public awareness of the problems California Indians were confronting. While the problems were rarely analyzed, many people helped to improve the quality of life for Indians. There was an effort to improve the education of Indians through schools, and to provide them with land to better their economic conditions so that Indians could become full citizens of the United States of America. In the early 1880s, Helen Hunt Jackson wrote A Century of Dishonor and sent a copy of her book to each United States congressman. She was then appointed to a commission to examine the condition of Indians in Southern California. Her visits resulted in The Report on the Condition and Needs of the Mission Indians of California, by special agents Helen Jackson and Abbot Kinney. The report summarized the problems and concerns of Southern California Indians; many of the conditions outlined in the report, however, were applicable to all California Indians. The report noted that Indians had been continually displaced from their land. She also noted that while many Indians had taken "immoral" paths, others had chosen the responsibilities of herding animals and raising crops. In her report, she also noted that the United States government had done little to right the wrongs of the past. While Jackson did not solve all the problems of Southern California Indians, her work did bring their concerns to the attention of the American public and Congress. One recurring concern was the lack of education and training necessary for survival in American society. The government, as well as Jackson, saw education as a way of assimilating Indians into the mainstream of United States society. Reports from the Secretary of the Interior and the Bureau of Indian Affairs at that time expressed the goals of the government in relation to the educational process. In 1908, one report stated, "the rooms held three or four each and it was arranged that no two tribes were placed in the same room. This not only helped in the acquirement of English, but broke up tribal and race clannishness, a most important victory in getting Indians toward real citizens." (Spicer, 1969:235) An earlier report stated, "I can see no reason why a strong government like ours should not govern and control them [Indians] and compel each one to settle down and stay in one place, his own homestead, wear the white man's clothing, labor for his own support, and send his children to school." (Spicer, 1969:236) Other people had even stronger ideas. For instance, George Ellis, in his book, The Red Man and the White Man in North America, wrote, "The Indian must be made to feel he is in the grasp of a superior." (Ellis 1882:572) In opposition to this view, the Indian Rights Association was formed in 1882. This Indian advocate group would play a powerful role in formulating Indian policy in upcoming years. While the approaches differed, all agreed that education was necessary. "In California, three types of educational programs were established for native peoples. The first was the Federal Government reservation day school. The second type was the boarding school, fashioned after Carlisle. And finally, the nearby public school that allowed Indians to attend began a slow, though steady, increase in popularity among policy makers." (Heizer, 1978:115) While the public schools seemed the best alternative, most Indians did not have the right to attend these schools until the 1920s. In 1881, an elementary school system for Indians was established in California. However, the Indians soon recognized that the schools were a threat to their culture, as well as to the tribe as a political unit. "As a result, considerable resistance to the schools developed. 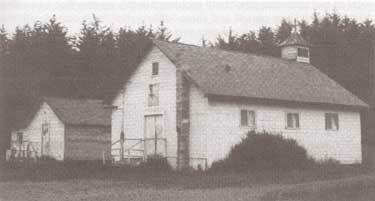 Native peoples destroyed the day school at Potrero in 1888, and burned the school at Tule River in 1890. At Pachanga, a Luiseno named Venturo Molido, burned the school and assassinated the school teacher in 1895." (Heizer, 1978:115) Much of the destruction and violence could have been avoided if the school system and the government had recognized the great importance the Indians placed on being able to maintain their cultural beliefs. In 1891, school attendance was made mandatory. But while attendance was mandatory, there were still Indian children who did not attend. In 1901, the first Indian hospital in California was established at Sherman Institute in Riverside. Sherman later became a boarding school for Indian children. While hospitals and other facilities improved conditions for California Indians, most Indians were still without homes. Long before the passage of the Dawes Act, people recognized that problems would occur from its implementation. In 1881, Senator Henry Moore Teller of Colorado spoke in opposition to an earlier form of the Allotment Act. Senator Teller concluded, "If I stand alone in the Senate, I want to put upon the record my prophecy in this matter, that when 30 or 40 years shall have passed and these Indians shall have parted with their title, they will curse the hand that was raised professedly in their defense to secure this kind of legislation, and if the people who are clamoring for it understood Indian character and Indian laws, and Indian morals, and Indian religion, they would not be here clamoring for this at all." (Spicer, 1969:234) The senator would soon be proven correct. Other Indians, such as the Cupenos from Warner Springs, chose to fight for their lands in the courts. With the assistance of the Indian Rights Association, they began a suit to stop their eviction from their home at the Warner Ranch. In 1888, they won a favorable decision which temporarily stopped their eviction. However, the case was appealed to the United States Supreme Court, and in 1903, the Cupenos were evicted from their home. Still other Indians chose to purchase land which was once theirs and reside on it. However, not every transaction was fair. In 1904, the San Francisco Chronicle reported that Indians who bought land from Whites were being dispossessed by the heirs of the granters, who gave no valid titles. "The Northern California Indian Association reported that about 10,000 Indians lived on land to which whites hold title. They were subject to eviction 'at any time.' The Indians are recognized for what they are not, usually competent to compete with white men in economic struggle. . . . Congress should buy lands for Indians in locations where they now are and allot them small farms in severalty. . . . It is also asked that their status as to citizenship be satisfactorily established. This petition is now before congress. It should be granted for justice and honesty. . . ." (San Francisco Chronicle, 1904). The struggle for homes would continue.